The United Nations Forum on Forests will meet for its 12th session (UNFF12) from 1 to 5 May 2017 at United Nations Headquarters in New York. The meeting marks the first session of the Forum since the historic adoption of the United Nations Strategic Plan for Forests 2017-2030 by the United Nations General Assembly on 27 April 2017. Discussions at UNFF12 will focus on technical issues related to sustainable forest management and strategies to promote implementation of the Strategic Plan. The UN Strategic Plan for Forests was forged at a special session of the UN Forum on Forests held in January 2017 and provides an ambitious vision for global forests in 2030. The Plan features a set of six Global Forest Goals and 26 associated targets to be reached by 2030, which are voluntary and universal. One of the bold, groundbreaking aspects of the Strategic Plan is a target to expand the world’s forests by 3%, an area of 120 million hectares, by 2030. Forests presently cover 30 per cent of the Earth’s land area, or nearly 4 billion hectares. Sustainably managed forests are healthy, productive, resilient and renewable ecosystems, which provide vital goods and ecosystem services to people worldwide. An estimated 25 per cent of the global population – 1.6 billion people – depend on forests for their subsistence, livelihood, employment and income. 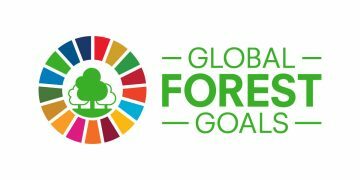 The Global Forest Goals and targets aim to stimulate and provide a framework for voluntary actions, contributions and enhanced cooperation by countries, partners and stakeholders. They cover a wide range of issues including: increasing forest area and combating climate change; reducing poverty and increasing forest protected areas; mobilizing financing and inspiring innovation; promoting governance and enhancing cooperation across sectors and stakeholders. The key mission of the Strategic Plan is to promote sustainable forest management and promote the contribution of forests to the 2030 Agenda for Sustainable Development, including by strengthening cooperation and political commitment at all levels. Discussions at UNFF12 will take into account the 2017 theme of the High Level Political Forum on Sustainable Development (HLPF), “Eradicating Poverty and Promoting Prosperity in a Changing World” and the Sustainable Development Goals under in-depth review by the HLPF this year. In particular, the meeting will focus on four thematic priorities related to forests and the SDGs, namely Forests and Poverty Eradication (SDG1), Gender Equality and Empowerment of Women and Girls (SDG5), Forests and Food Security (SDG2), Means of Implementation for Sustainable Forest Management (SDGs 15.b and 17). For millions of people living in poverty, forest and tree resources provide food, fuel for cooking and heating, water, medicine, shelter and clothing and function as safety nets in crises. Foods from forests including – leaves, seeds, nuts, fruits, mushrooms, insects and wild animals – provide nutrition, dietary diversity and health to millions of rural people. Forests also contribute significantly to rural food security and health as sources of wood fuel to cook food and sterilize water. The Forum is a functional commission of the UN Economic and Social Council and is composed of all Member States of the UN. Since its inception, the Forum has reached notable milestones including the adoption of the first UN Forest Instrument in 2007, the creation of the Global Forest Financing Facilitation Network in 2015 and most recently, the adoption in 2017 of the first UN Strategic Plan for Forests 2017- 2030.